A good showing against the collective intolerance ingrained in the majority of Wisconsin's population. For those of you not familiar with Mt. Horeb... 600 people is nearly 1/3 of it's total population. Great motorcycle roads near there, we called it, "The Alphabet Soup." Because of all of the twisty county roads (that have letter designations) intertwined with each other. 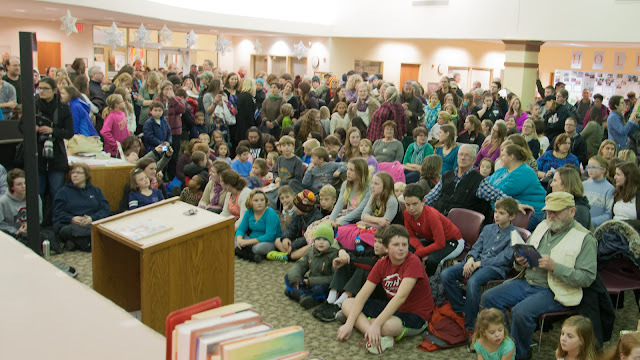 "Last night, nearly 600 people gathered at a public library in Mt. Horeb, Wisconsin, to show their support for transgender inclusion in their schools and community. The parents in the community hosted a reading of I Am Jazz, a book by transgender teen and HRC Foundation Youth Ambassador Jazz Jennings at the Mount Horeb Public Library."